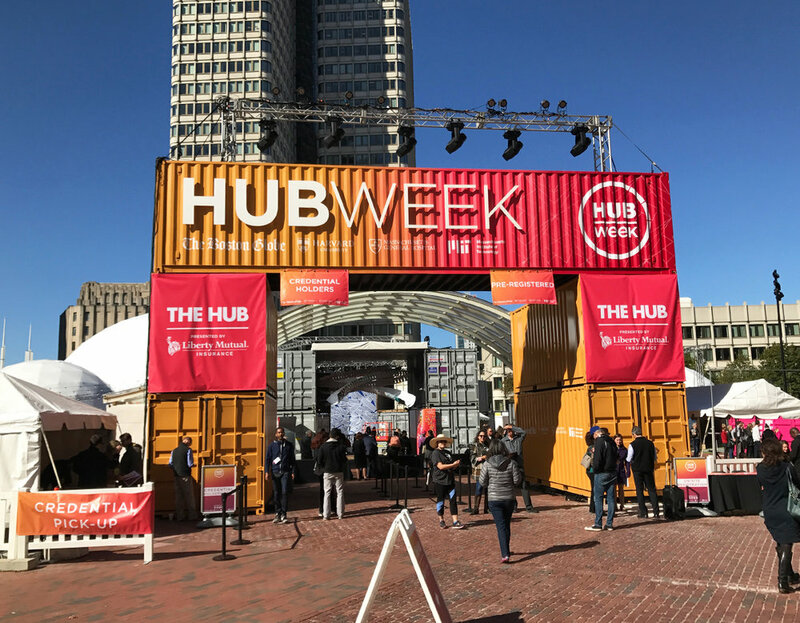 For HUBweek 2017 at Government Center in downtown Boston, we handled almost all the exterior event signage. 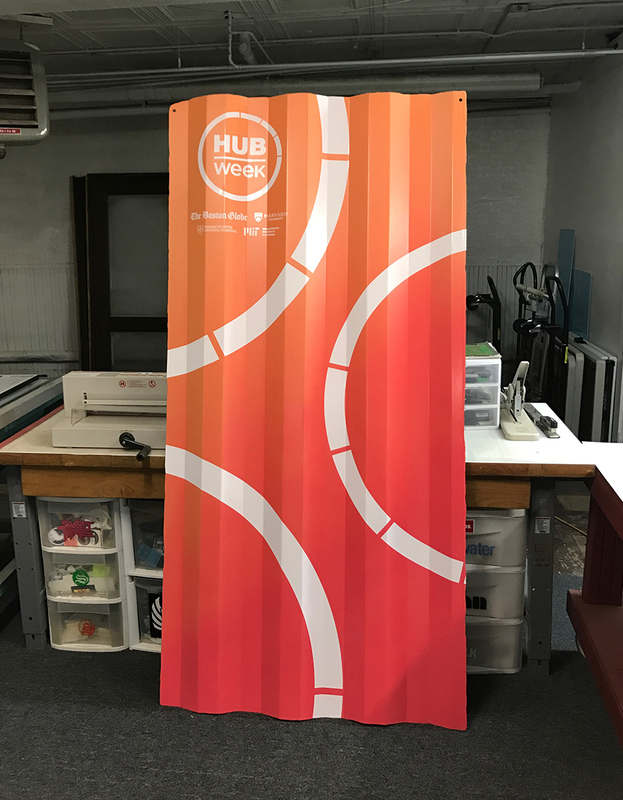 First and foremost we worked to design an entrance gate utilizing a 40' suspended shipping container across two stacked containers on each side. 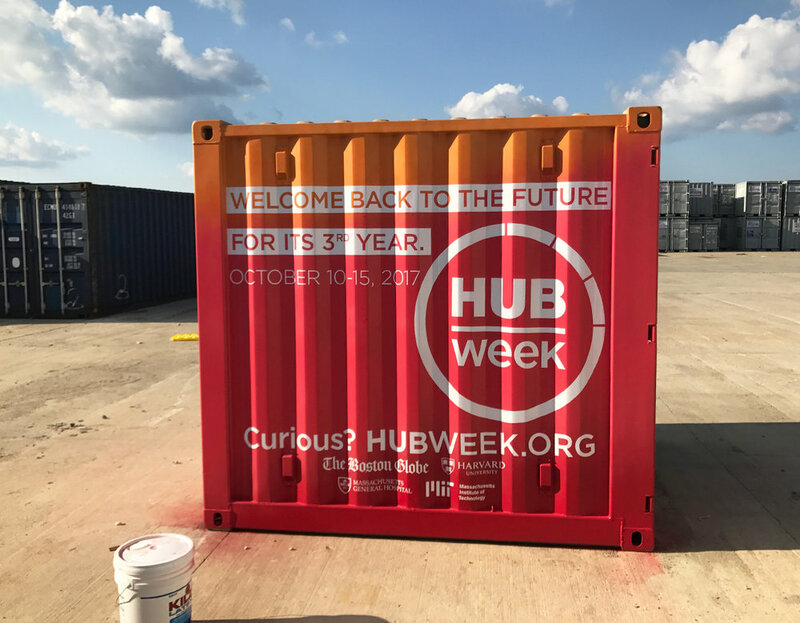 We painted the containers over 20 feet up with a geometric ghost pattern and added sponsor logos and the HUBweek logo in vinyl over the paint. 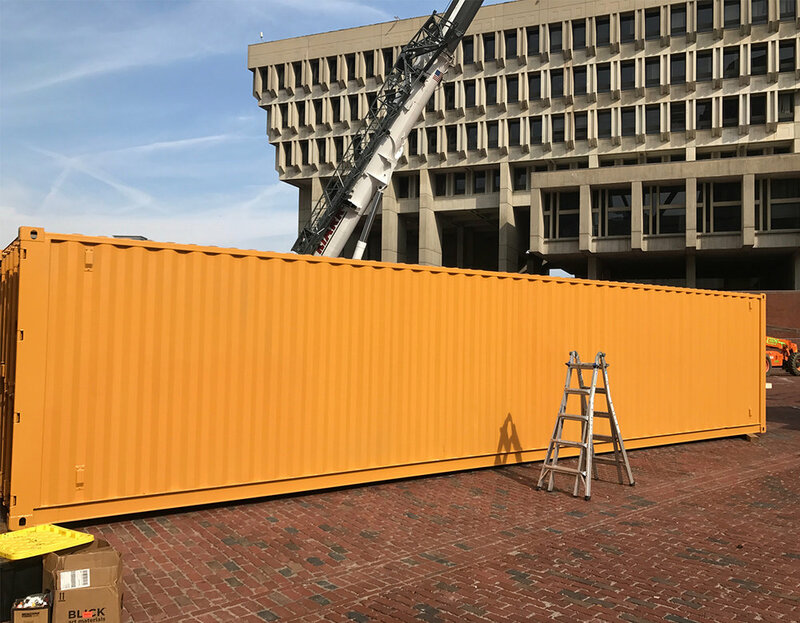 From there we used custom made HUBweek letters and raised them off the surface of the container with stud mounts and finally backlit them for a glow effect at night. 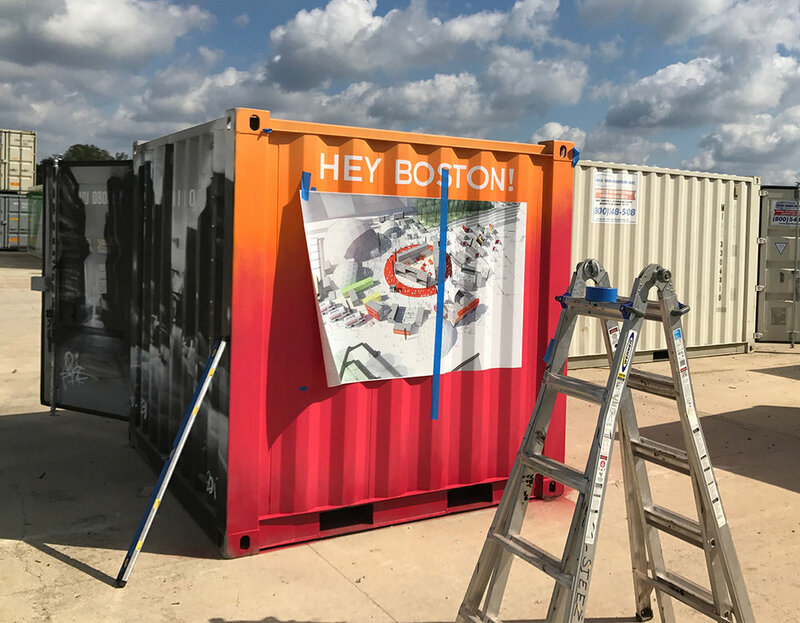 Throughout the rest of the event we painted several sponsor containers and applied vinyl sponsor logos, hung banners and made the event look awesome.